What would it look like if mental health providers were trained to be both deeply humanistic, AND very efficient at helping people identify and cope with the issues at the core of whatever their difficulties might be, including psychosis? It might look like the approach developed by Isabel Clarke and Hazel Nicholls, which they call “Comprehend, Cope and Connect (CCC).” CCC starts from the perspective of the immediate experience of the individual -‘what it feels like to be me, now’. This approach to mental health difficulties brings together the impact of past trauma and adversity on present coping (comprehend), and utilizes the latest in mindfulness and compassion-focused approaches to manage change (cope and connect). In the presentation linked to below, Isabel Clarke focuses on using this approach with people whose experiences might be described as “psychosis.” Isabel brings a uniquely deep and yet practical understanding to this topic. On the one hand, she has thought deeply about the nature of psychosis, and she has written several inspiring and insightful books and articles on the intersection of spirituality and psychosis. 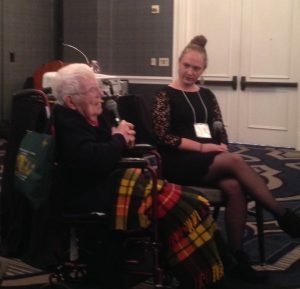 On the other hand, she has extensive experience working in acute care settings where making a direct an immediate impact is essential, and this has pushed her to develop an approach capable of accomplishing that objective. “Simple and yet powerful, this impressive body of work has transformed practice wherever it has been introduced. Mental health practitioners should all be aware of it.” said Dr Lucy Johnstone, consultant clinical psychologist and author of ‘Formulation in psychology and psychotherapy’. Isabel Clarke’s work spans two areas: psychosis and spirituality, and clinical psychology. Both draw on the research based Interacting Cognitive Subsystems model of cognition, and both seek to bring spirituality into center stage, founding it in cognitive and other research and theory, and regarding it as a central part of what it means to be human. Clarke, I. & Nicholls, H. (2018) Third Wave CBT Integration for Individuals and Teams: Comprehend, Cope and Connect. London & NY: Routledge. Clarke, I. (2013) Spirituality: a new way into understanding psychosis. In E.M.J. Morris, L.C.Johns & J.E.Oliver Eds. Acceptance and Commitment Therapy and Mindfulness for Psychosis. Chichester: Wiley-Blackwell.P.160-171. Clarke, I. ( 2008) Madness, Mystery and the Survival of God. Winchester:’O’Books. When someone is “mad” or “psychotic,” should the people around them try to make sense of their experience and of what they are saying? Or should the person be taken to professionals who will listen only in order to diagnose and then prescribe treatments aimed at suppressing or eliminating experiences that are understood to be meaningless? In the mainstream of mental health treatment in the US, the latter approach is dominant. But what does it mean to be “treated” by people who won’t try to understand you? When I was a young man having experiences that were “extreme” and arguably quite “mad” or “psychotic,” one of my worst fears was that the people around me would give up on the idea of finding any significance in what I was communicating, and that they would decide to see it as something that simply couldn’t, or even shouldn’t, be understood. Fortunately I always seemed to keep some contact with at least one person who saw some significance or meaning in what I had to share, and after awhile, I made more sense of it myself and had a better time communicating with others. Now I work as a therapist, helping others explore the significance of their own “mad” experiences. A colleague recently suggested to me that one of the very worst (yet common) practices in modern mental health treatment is the one of telling people that their psychotic confusion is just something wrong with their brain, and that it should not be understood as a response to something that happened to them. When that happens, an already confused person can easily become more confused as the link between traumatic experience they might have had, and their confused response to that experience, is denied and becomes invisible. 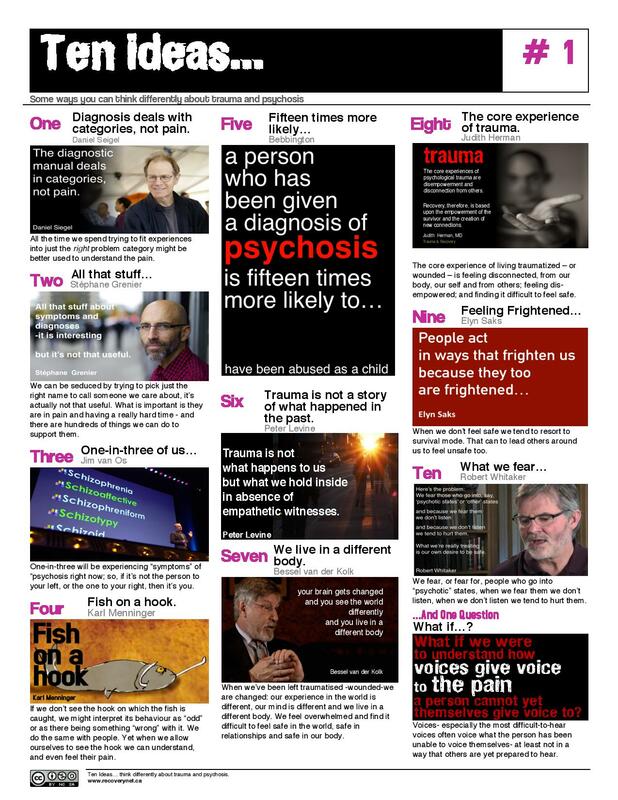 One way to challenge that thinking is just to download and print this flyer, which describes ten ideas for thinking differently about trauma and psychosis. Lots of great food for thought all on one page! Thanks to Recovery Network: Toronto for putting this together. 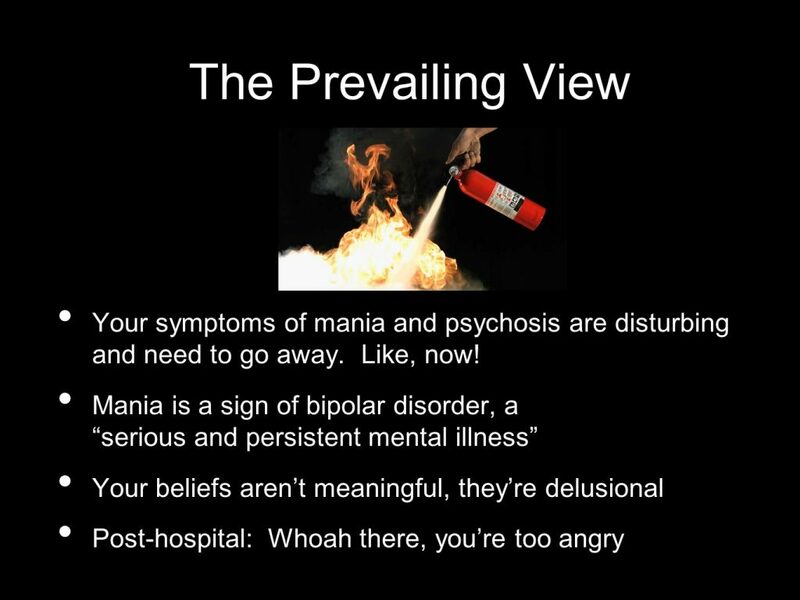 My colleague John Herold has an interesting image he uses to communicate the conventional mental health approach to disturbing mental states: it is that of a fire extinguisher being applied to a fire. If we think of disturbing states as an illness, then it makes sense that we focus on trying to eliminate them or to “put them out.” Of what use is an illness? But what if these states are something more than that? A key alternative idea is that disturbing states represent something important that is trying to emerge, something that has been missing from our dominant mental states. We may not know yet how to integrate it, but the possibility of getting to know it better, of making peace with it, and finding value in it, exists. I believe it makes more sense to conceptualize “psychosis” as something like a revolution in the mind, than as an illness. And as John F. Kennedy famously said, “Those who make peaceful revolution impossible will make violent revolution inevitable.” It follows then that if we want to make “psychosis” less disturbing, we need to focus less on suppression, and more on actually facilitating altered states of consciousness and integrating them into our lives! That’s the approach taken in Process Oriented Psychology, also known as Process Work. That strategy turned out to work great: applying it allowed John to make peace within his mind. In fact, it worked so well that John became inspired to get a diploma in Process Work and to begin teaching about it. Conventional mental health approaches tend to be deadening — this isn’t surprising given that suppressing part of the psyche is their goal. Not so Process Work: it is always lively and playful, often playing specifically with that which has been disturbing. No mental state is taken as having the whole truth: instead, it is always possible to take any state to its “edge” and then over the edge, into something else. It’s an approach that very much values diverse mental states. Another aspect of conventional mental health approaches is their tendency to assume that “reality” is a given, and that the goal should be to have everyone be in touch with it in the same way. “Consensus reality,” where everything can be divided up and measured, is the only kind of reality that is valued. In contrast, Process Work sees reality as having a number of different dimensions, with some value in being in touch with different dimensions at different times. “Dreamland” for example can be seen as a level of reality, or a way of being in touch with an aspect of reality. In process work, “dreaming” is not just something we do at night, but something that comes up in body sensations and symptoms, in fantasies, in visions and voices, etc. These experiences are “not real” from the perspective of consensus reality, but are completely real on their own terms. Another level of reality is that of “essence”: this relates to the non-dual aspect of reality. At this level we can experience that we are all one consciousness, that there is no observer separate from the observed, and that all of reality can be experienced as right here right now. One such event occurred when I was 17 years old, when I took LSD for the first time. I had the experience of going to another dimension, where I met some beings who told me I did not have to continue to be who I had been, that I could be a completely new person. This sounded great to me, because I did not like my self up to that point — it was too much shaped by fear, defined by people who had abused me. So I went with the new identity! For the next 15 years or so, I continued to see my origin as more related to that “dreamland” event of becoming a new being, than it was to my “consensus reality” experience of growing up with abuse. I also focused very much on “essence level” reality, as that gave me a point of origin quite other from my childhood, and helped me continue to escape from feeling vulnerable. This continued until various events, combined with my increasing awareness of the costs of denying my basic human vulnerability, pushed me to face my past and the dimensions of experience that I had disowned. This was at first shocking and very disruptive, and it seemed I was at risk of losing my sense of safety and being stuck in the trauma that I had previously avoided — at least until I got help in integrating from some competent therapists, one of whom had training in process work. In Process Work, everyone is understood to have a “primary process” or a kind of functioning with which they identify, and also the possibility of having a “secondary process” which may disturb, or offer an alternative to, the primary process. When the contrast between the primary and secondary process is very sharp, there is the possibility of something they call a “process inversion” in which the two switch, and what was the person’s primary process now seems to be completely missing. From this point of view, what happened to me when I was 17 was that I crossed over from what had been a primary process highly affected by trauma and abuse, to a secondary process of being someone who was fresh and unaffected by abuse. This was a “process inversion” because my past identity became missing, and I could not or would not relate to the person I had been. Turning to face my childhood trauma 15 years later threatened me with another such inversion, but after some rocky times I found ways to become more fluid and able to draw from both identities: the one who had been crushed by abuse, and the one who had never been touched by it. An important aspect of Process Work is that nothing is pathologized; every part of the person, every kind of experience, is seen as having value. A process worker would see value both in my crossing over into being someone who never had a childhood, and also crossing back into reclaiming a very disturbing past. People may, as I did, get stuck in some parts of their experience and need help finding a way to be more fluid so they can also relate to other parts, but there is nothing that needs to be suppressed or gotten rid of. Want to know more about the this approach? Then I suggest watching the video below, a very lively, recently recorded presentation by John Herold, who knows a lot more about Process Work than I do! In this presentation, he covers deep and complex topics with amazing clarity and humor, and he speaks informed not just by theory but with perspective drawn from learning to manage his own extreme states. After you watch it, please let us know what you think! Stories organize us, and “bad stories” organize us in destructive ways. In this post I will address one example: the story told about how skilled mental health professionals can distinguish between dissociative disorders, with their roots in trauma, and psychotic disorders, which are understood to be definitely illnesses of the brain. Why do professionals attempt to make such a distinction? The idea is that people with dissociative disorders need to be offered caring and skillful therapy which addresses their traumatic past and their fragmented response to it, so they can reorganize in a more integrated way. 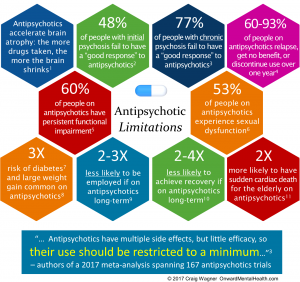 It is thought that such a psychological approach would be useless for those with psychotic disorders, as their problems are understood to be based in their diseased brains, with drugs being required to control the malfunctions. 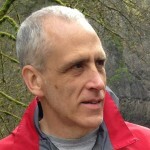 If professionals really could reliably distinguish those whose problems came from difficult experiences and who could be helped by therapy and self-understanding, from those whose problems were more organic and who could not be helped in a psychological way, then focusing on making such a distinction would be a useful approach. But if their faith in their ability to do this is really a delusion, then what they are really doing is defining everyone on the “psychotic” side of the distinction as being beyond human understanding and help, and so inflicting another blow on those already severely troubled. It is well known that people dissociate when all of the person’s mind cannot bear facing what happened directly. Later, parts of the person that did not face the experience may be unable to integrate with the parts that did: each feels alien to the other. It’s what happens next that may be crucial in separating those who will be recognized as having a dissociative disorder from those who will be seen as having a psychotic disorder. If the person recognizes the “alien” parts of themselves as being just parts of themselves, even if they seem to be disturbing or even “different personalities,” then they have a good chance of seeing themselves, and of having professionals see them, as having PTSD or a dissociative disorder. But if they see the “alien” parts of themselves as being literally aliens, or demons, or CIA agents talking to them through a brain implant, then they will likely be diagnosed as psychotic. It’s important to notice what’s happening here: it’s the person who feels more strongly alienated from parts of themselves who is likely to make the “psychotic” interpretation about what those parts are — and then it’s that person who will be seen by the mental health system as having a disorder that is understandable only as brain dysfunction. When we are alienated from someone, we may fail to cooperate with them and actually battle with them, but at least we notice they are a living being. When people are alienated from thoughts, feelings, and parts of themselves, or characters inside themselves, they may fail to work with those parts or integrate them into their identity, but at least they relate to those parts as something alive. What professionals do when they pathologize parts of people or their experiences is to dehumanize them, to see them not as something living that can be related to, but as something that should be exterminated. This is where the alienation becomes compounded. What’s missing in the professional’s response is an acknowledgment that what the person may have inside them is a very human response to very difficult experiences, and the brain may be simply responding to those experiences. By failing to admit that possibility, recovery becomes more difficult. If the person accepts the professional’s explanation, they may feel no longer inhabited by an alien, but now they are inhabited by pathology, and one that can be expected to be lifelong and requiring lifelong efforts toward ongoing extermination. Professionals vary of course in when they start seeing evidence of “brain pathology,” versus when they are open to seeing a problem as psychological. Some will still identify any report of voice hearing as evidence of brain pathology, with no consideration of the possibility that voices could be dissociative. Some imagine they can use certain criteria to distinguish “dissociative voices” from “psychotic voices” — even though research shows there is no reliable basis for making such a distinction. Some claim that if a voice is dissociative, then the person will be able to talk to it, while a person cannot talk to a psychotic voice. The alternative hypothesis is that professionals are simply failing to recognize that alienation exists on a spectrum, and these professionals are mistaking differences in degree of alienation for a categorical distinction that does not exist. It’s common for example for people to be told that dissociative voices are experienced as “inside” the person, while psychotic voices are experienced as “outside” the person. But these experiences are really on a spectrum, and, it turns out, a very tricky spectrum. The tricky issue is that many people who are just dissociative in the sense defined above, actually hear the voices of the other parts of themselves as though they were coming from outside of themselves, from somewhere else in the room for example. They may also “see” parts of themselves as outside of themselves, though they are aware this is just a mental experience and so they are not psychotic. Meanwhile, many people who are “psychotic” in the sense defined above, hear their voices or many of their voices as located inside themselves, though they believe it is not part of themselves — as in the case where they believe that a demon or brain implant has gotten inside of them. This makes more sense if we think of multiple spectrums: there’s the spectrum of how much a person is alienated from a voice or how much they see it as not themselves, and then there is the spectrum of how much it seems at any given point to be physically inside themselves. The idea that professionals can define voices as more “psychotic” if people find themselves unable to talk to them also ignores the possibility of a spectrum; it ignores the possibility that inability to talk may be another function of the degree of alienation. We all know, for example, that when people are feeling very alienated from fellow human beings, they often find they are unable to talk with them. Many of us find for example that we can’t talk with people who are too different politically — or even if we are willing to talk, those others will not talk to us! People in the hearing voices movement, and therapists working with psychosis, commonly find at the outset that people cannot talk to their voices, but with some work, such talk becomes possible, and helpful. This work is not seen as possible, however, when the person’s initial inability to talk to the voices, and inability to see the voices as part of themselves that can be related to, is interpreted as evidence that the voices are just brain pathology. There is a notion that “one cannot talk to a disease” and so the professional’s interpretation that the voice is brain pathology becomes part of the problem in communication, or compounds it. I should point out that “dissociation,” like anxiety or depressed mood, is not entirely a bad thing. There are times it is helpful, and some degree of it is part of healthy human functioning. People in the hearing voices network point out that hearing voices — a particular kind of dissociative experience — can also be part of healthy human functioning, though people can also have various kinds of problems with these experiences. Some of those problems reach the level of what is called psychosis — being seriously “out of touch with reality” and/or severely disorganized. But these problems can all potentially be addressed and resolved, by helping people relate to what they are experiencing rather than pathologizing it. There are now lots of people who have publicly described their journey from being quite truly lost in psychosis, and fully meeting the diagnostic criteria for “schizophrenia,” and who then, as they got more insight, shifted to having experiences that looked something more like a dissociative disorder, and then eventually shifted to not being “disordered” at all. Eleanor Longden is a well-known example. When she was fully “psychotic” she was fully convinced that her voices emanated from physically real beings outside of her who could harm her and her family if she did not obey their commands, and her reasoning process was so bad that at one point she was ready to drill holes into her head to get the voices out, with no insight into the fact she would likely kill herself in the process. Later, she came to recognize the voices as split-off parts of herself, and as she reconciled with those parts, she healed. She tells her story eloquently in her Ted talk and in more detail in this longer version. I work as a therapist specializing in therapy for psychosis, and while I am not always successful, I have been fortunate enough to help people make similar journeys toward healing. 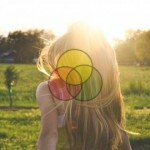 These are complex issues, and this post only touches on the subject. I have been working to make education on this subject more available, in particular in the form of my online course Working with Trauma, Dissociation, and Psychosis: CBT and Other Approaches to Understanding and Recovery, which comes with 6 CE credits for most US professionals. In the bigger picture, alienation and dissociation is something that happens not just within people, but within and between social groups, tribes, nations, etc. Seeing the “alien other” as just something pathological, something to be exterminated, is not working very well. We need more attention to approaches that recognize the life and the validity in the alien other, and which help people and social groups assert their own needs while also finding ways to recognize and reconcile with the deeper needs of the other. There is reason for hope, so let’s do what we can to nurture the possibilities! 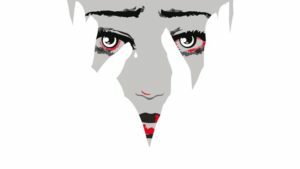 In an article published online by the Journal of Humanistic Psychology on 3/7/18, I argue that the mainstream view of “psychosis” is way too narrow, and I outline the evidence supporting a wider perspective, and reasons to believe such a view would allow us to be much more effective in our attempts at helping people. This article is part of a part of a 20 author, invited Journal of Humanistic Psychology 2018 special edition on extreme states that’s titled-“Humanistic Perspectives on Understanding and Responding to Extreme States.” edited by my friend and colleague Michael Cornwall. These articles are currently being published online and the hard copy edition of the journal will be out later this year. I expect there will be lots of great articles in this edition! A tale is commonly told of science narrowing in on an understanding of psychotic disorders such as schizophrenia – they are an illness of the brain, caused by genetic risk factors, biochemical imbalances (Deacon, 2013), and faulty circuits amongst neurons (Insel, 2010). Psychoeducational materials confidently inform families that “people do not cause it” (Glynn, 2014) – that is, it is not caused by interpersonal experience or personal mistakes.